When men build, it usually happens top-down, outside-in. In come the diggers and graders. When the dust settles the site has been cleared as man imposes his will on his environment. Once the clearing is done, the meticulous process of construction begins. Everything is by design, and the sequencing is precise. Careful coordination ensures that the trades make their contribution at just the right time. Hardhats huddle and machinery stands. Progress bows to head scratching and problem-solving as unanticipated challenges present themselves. Ingenuity and engineering spar with budgets and other constraints. By torturous toil, something rises out of nothing, or at least appears to do so. Elsewhere, quarries scar the landscape, having offered up their treasures to those who hold the purse strings. The Lord goes about things a little differently. He works bottom-up and inside-out. The entire oak is in the acorn. It germinates in soil enriched by the falling leaves of innumerable autumns. Not much to look at, that acorn. Or any other seed, for that matter. 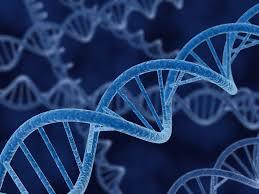 But the marvels of DNA ensure that what is embedded in the essential nature of the seed will manifest. What emerges is show-stopping jaw-dropping splendour, should the environment approximate the conducive. Some would argue that to contrast things thus is to oversimplify. Perhaps. But even in His workings in and through our humanity, these principles can be observed. Remember Abraham and Sarah. The best they could do in their own strength was an Ishmael. God’s purposes unfolded through Isaac. A seed implanted in a barren womb, through whom all the nations of the earth were blessed. And remember when the Israelites left Egypt. Isn’t it amazing that a bunch of ex-slaves could build something as stunning as the tabernacle in that desolate wilderness? No hardware store to visit. No subcontractor to quote on the job. The tabernacle and all its trappings were in the nation’s DNA. All the necessary craftsmanship, as well as more than a little Egyptian loot. With the people living in tents, when God ordered His own, the oak was already nestled in the acorn. The unfolding story of the church in Acts follows a similar sub-plot. Embedded in the apostolic DNA of the Twelve was all that was needed. The acorn in the upper room to become the oak of the church throughout the Roman Empire. A few chapters in and we have deacons in Jerusalem. A few chapters more and the prophets and teachers show themselves in Antioch. By the time we get to the end of the book the elders, shepherds and evangelists have shown themselves. Amidst a spectacular array of other gifts at that. Everything was in the seed, and Word and Spirit was at work to nurture and develop the unfolding growth. How genius is our God! Raindrop to rain and acorn to oak is the local church to the bride of Christ. Believer and local church alike are in Christ, and Christ by His Spirit is in them. They are manifestations in the temporal of the glorious, spiritual eternal. This is how the kingdom of heaven colonises earth. New birth. New creations. New nature. New Covenant DNA. With the new then refreshing, renewing, reclaiming and restoring the face of the planet. Death yield to resurrection before this Life-flow. Let carnal wisdom loose on the building site, and in comes the earth moving equipment. Seeds, saplings and trees alike are swept aside. Scripts are meticulously followed. Hardhats caucus and budgets determine the constraints. With all said and done, dust settled and backs slapped, our achievements can impress. Which is why it’s so ironic that as we stand on the deck drinking champagne, we’re admiring the majestic old oak on the vacant lot next door. The single greatest problem with the church of our day is control. The unsatisfying result is a work of man, his will imposed. The single greatest facilitator of this control is confusion about the DNA of the New Covenant. Mix law and grace, and the social currencies traded are guilt and condemnation, manipulation, control and abuse. Stay in grace, and the community of faith is nurtured in a milieu of love, acceptance, freedom, encouragement and forgiveness. New Covenant DNA is sufficient to the extraordinary. It invites God’s will, and yields to Him in the outworking. All we need to do is serve it. Instead of lording it over the work of the Lord, perhaps the primary role of leadership is to applaud it. To recognise, celebrate, encourage, facilitate and release what He is doing. And everything that He does is always on the foundation of what He has already done. New Covenant living is never about who we are under, or even who we are with, but about who we are building on. And Jesus is the only foundation worth a mention. Making these key components explicit is helpful. So doing underscores how scarce they’ve become in so much of the modern day church. These truths must become our defaults. They are Heaven’s defaults, and the brides defaults. They should therefore be our touchstones in all things at all times. The New Covenant anchors in Good News about Good God. God is good, and His intentions towards His world are good. He is not looking to judge, but to save. The wages of our sin were visited upon Jesus. Because of this, the Lord can treat us with unmitigated loving-kindness and mercy. Rather than treat us as our sins deserve, He treats us as the father treated the prodigal. Love, acceptance, forgiveness and restoration are ours. The New Covenant is by grace alone through faith alone. We could do nothing to save ourselves. That is why Jesus, another Adam, lived the sinless life we could not live. He then died the death all sinners deserve. His resurrection proved His sacrificial death effective. He is risen, and lives evermore, our Mediator and our Intercessor. God, in Christ, has reconciled us to Himself. The first gift this amazing grace gives us is faith. As grace is revealed to us, so faith rises in us, and we believe. Believing, we receive, and in receiving, we in turn are reconciled to Him and are saved. The New Covenant was cut between Father and Son. Our sin separated them for a moment; His obedience reunited them for eternity. When we believe, we are included in this union. We literally believe into Christ when we believe in Him. His story becomes our story. In a moment we are united with Jesus is his crucifixion, death, burial and resurrection. The Holy Spirit does this for us. He baptises (immerses) us into Christ. We thereby transition through His death and resurrection into irrevocable union with God. The New Covenant imparts the gift of righteousness to all who believe. The self-righteousness of the inherently sinful can never produce right standing with God. It’s the righteousness of the Righteous One, Christ Jesus, that is imputed to us. Christians are in right standing before God with the actual right standing of Jesus. The moment of faith effects this great exchange. In that moment, all our sin is removed from us, and all Christ’s righteousness given us. Thus made righteous, no Christian can ever be unrighteous or unholy ever again. The New Covenant places us in Christ. The New Covenant also places Christ in us, by His Spirit. This is an action of re-creation. We are literally born again. The old has gone. The new has come. Christians no longer have the sinful nature they were originally born with. We have a new nature, born of the Spirit, and just like Jesus. It is much more than the Lord merely regarding us as righteous, or treating us as through we were in Christ. He has literally made us righteous, and placed us in Christ. The same is true of our re-creation. This is not just some sort of second chance or new beginning. It is a literal action of creation. In our essence – our spirit – we are made new. Everything in the New Covenant is by the Spirit. We are with the Father. This is through and in Jesus. And it is all by the Spirit. It is the Spirit who grants us revelation of Christ and imparts to us the faith to believe. It is the Spirit who immerses us into Christ when we believe. It is the Spirit who recreates us anew. It is the Spirit who then indwells us, perfecting our union. We are in Christ, and Christ is in us. All this is the Spirit’s doing. From then on, it is the Spirit who enlightens, leads, encourages and empowers. Access into life in Christ is by the Spirit, as is life in Christ from then on. This is definitive. The glorious New Covenant is set amidst a most impressive supporting cast. The written Word helps us. We help one another. God Himself harnesses every situation and circumstance for our good. Many things have their origins in sin and satan. The fallen-ness of our planet reflects this. Yet, no matter the author of the crisis or calamity, God uses it for good. Devil bad; God good. Very good, in fact! 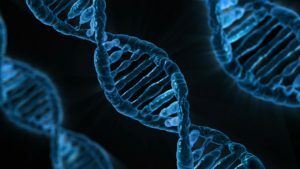 Written on another day, this post might well have expressed the key components of New Covenant DNA differently. Other texts may have been used to substantiate the various aspects. Other attempts may have have listed six key components; others eight or more. No matter. The Scriptures are bursting with revelation and are rich in metaphor. What has been said could have been said in innumerable ways. Such is the length, depth, breadth and height of our glorious God and of His Christ. In whom the Spirit shares, and to which the Spirit bears witness through the Word. Much more important than the packaging is the revelation itself. The New Covenant is altogether other, once-for-all. In the next chapter we’ll observe how every aspect of New Testament church life was a response to the New Covenant. 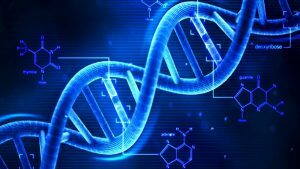 The church made manifest her New Covenant DNA as she grew and developed. The Gospel was the seed planted; the church and all her good fruit the result. This is indeed the Gospel – the almost too good to be believed Good News. Praise the Lord for all that He has done for us in Christ Jesus our Lord and His finished work on the cross. We no longer strive by our own efforts to gain acceptance. We simply rest in what He has accomplished for us. The more the church hears and receives this revelation, the more it will reflect the truth of God’s eternal Word and His divine purpose in this world.